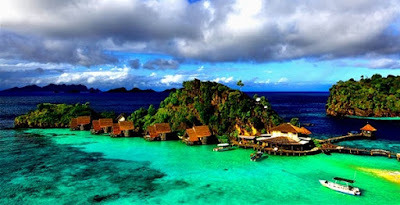 Indonesia is called an archipelagic country. It is not surprising that Indonesia has many beautiful beaches for various kinds of water sports; one of them surfing. Bali is still a favorite destination for water sports enthusiasts. There are two places that the world's surfers are after; namely Nusa Penida and Nusa Lembongan. Usually, surfers who come to these two places will find its own spot in order to enjoy the ocean waves without interruption of others. 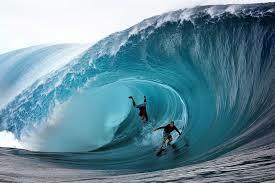 The atmosphere of Bali is also friendly tourists make these two places so the world's favorite surfers. The waves at Uluwatu Beach are known for short and strong waves that are mutually exclusive. Waves like this are perfect for professional surfers. No wonder Uluwatu Beach is ranked the 3rd best surf spot in the world version of CNN Travel. Wave wave that rolled perfectly to a height of 2-15 feet, making Nias Island so the world surfers destination. 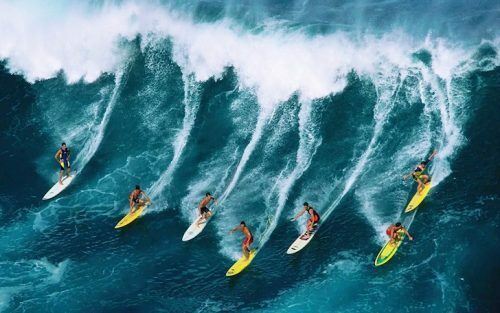 There are two places that become the target of world surfers; The Point and Indicator. Located about 20 kilometers from Grajagan Village, Banyuwangi; Plengkung Beach is known among surfers as G-Land. This beach has waves as high as six to eight meters with a length of up to two kilometers. If we aspire to Hawaii, try to conquer the waves on this beach first. Because the beach waves are touted as the second best wave after Hawaii. Plengkung Beach has also been a place for the international level surf competition "Banyuwangi G-Land International Team Challenge". Some countries such as Australia, France, England, America, New Zealand, and Indonesia also send their participants to conquer the waves of Plengkung Beach. The island is located in West Sumba is very necessary we enter in the travel list. In addition to the challenging waves, beautiful natural scenery, culture, and the hospitality of local residents make Nihiwatu Island so an interesting destination for the surfers. The waves on Nihiwatu Island are known by the nicknames Left God Waves. Only, we must be patient to enjoy this wave. The reason, the resort and sole manager Nihiwatu Beach only limit the ten surfers to enjoy the waves Nihiwatu per day. At least, when we try the waves, we do not have to fight, do we? it's the best surfing place in indonesia, what do you think? Belum ada tanggapan untuk "Beach in Indonesia with world class waves"